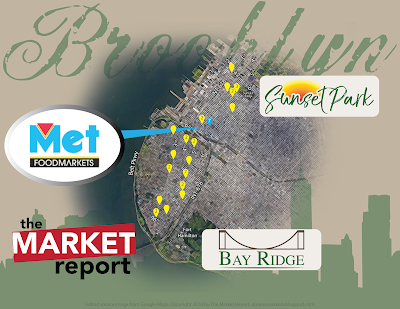 On the next block south of Mi Pueblito and AM1, but across the street, there is a small but full Met Foodmarket. Met and Pioneer two blocks north are the two major supermarket competitors in this neighborhood, and although they are both run by Metropolitan City Foods (formerly DiGiorgio/White Rose), they appear to have different owners. 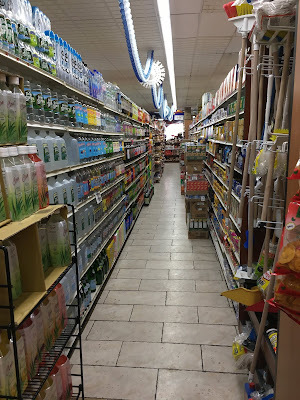 You enter on the left side with produce and dairy in the first aisle, meat along the back wall, butcher in an island in the first aisle, frozen in the last aisle, and a deli in the front corner here (where the deli sign is). Unlike Pioneer, this Met was renovated recently, ca. 2013. Although the store is clearly an older supermarket, it has been nicely upgraded with new fixtures in most areas. And this is clearly the place to be if you need soda crackers. This store had a Latin radio station on, which at the time of my visit played the remix of Despacito featuring Justin Bieber. That's not even really Latin music anymore! Dairy at the back of the first aisle. Although the store is nicely renovated, it's a little cluttered, as you can see here. Butcher counter at the back of the first aisle. The meat service counter continues around to face the back wall of the store, shown to the left here. I appreciate the fact that the flooring is consistent throughout, and in rather good condition. Plus, it's a little more attractive than the standard white tile. If you zoom in, you'll see that the sauce selection ranges from organic tamari (a special type of soy sauce) to sriracha to tahini to good old Frank's Red Hot. 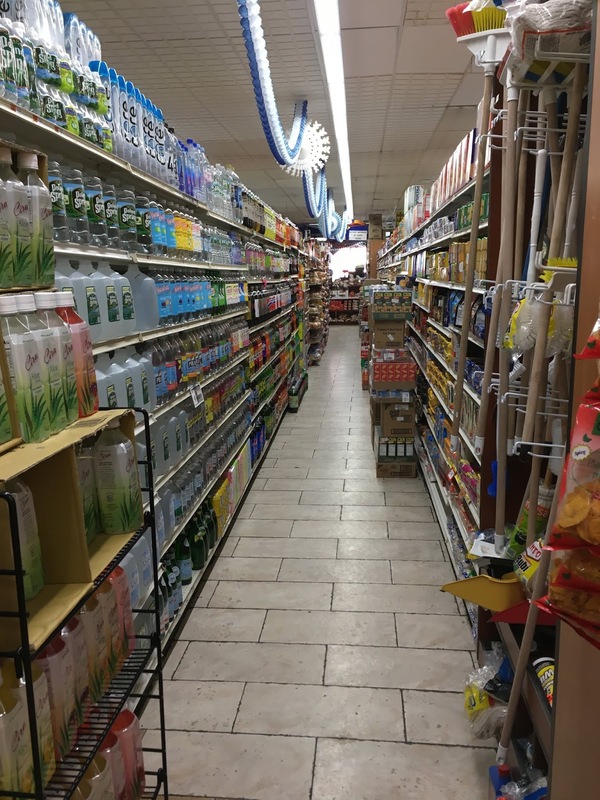 A well-stocked aisle featuring just about everything you'd need from seltzer to dustpans to...more soda crackers! Freezer cases and nonfoods in the last aisle. Nice deli and fresh baked local bread in the front. 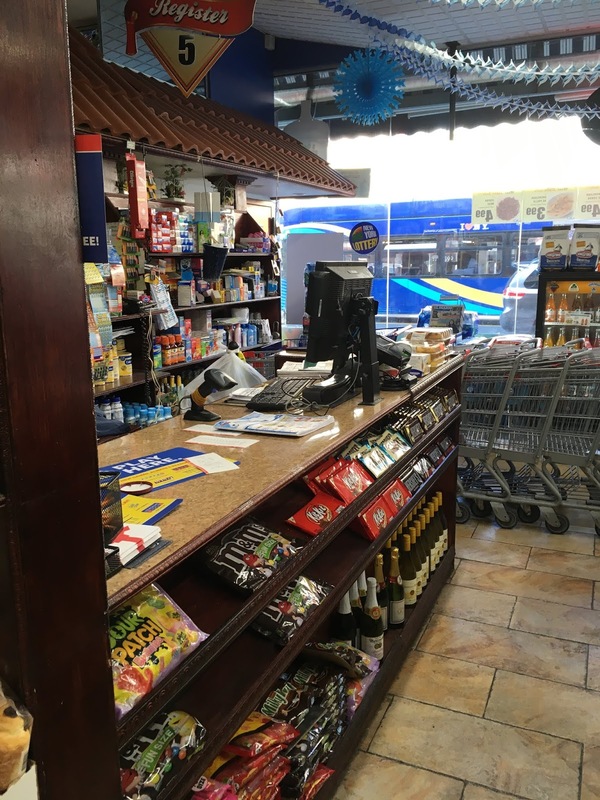 Customer service is around the corner from the deli. Because the store's lighting is newly-installed LED and the front windows are very large, the whole store feels very bright and open. Some more upscale touches in this store, like fresh bread and whole-bean coffee, as seen here. Four registers seems to be the going rate around here. Actually, five if you count customer service. PRE-POSTING UPDATE: As of early November 2018, this store has closed and been replaced by an Ideal Food Basket.